Front (l-r): Earl Brairly, Everett White, Ray Hamlin, Brad Parker (? ), Mary Parmenter, Ruth Siswick, Vera Lawton, Rose Mahoney. 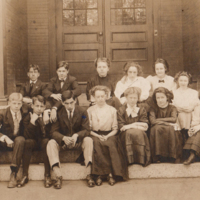 Rear(l-r): Frank Sheridan, Herbert Lemoine, Jennie Laitala, Ethel Howard, Florence Trainor, Mary Sweeney. 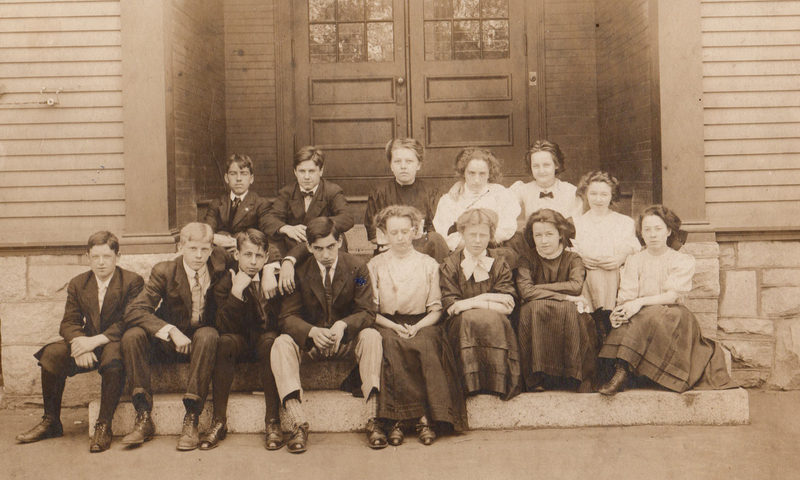 “Maynard High School Grade 9 - 1909,” Maynard Historical Society Archives, accessed April 24, 2019, http://collection.maynardhistory.org/items/show/283.